Fitness for duty is a condition in which workers are physically, physiologically and psychologically capable of competently and safely performing their tasks. Fitness for duty affects human performance. 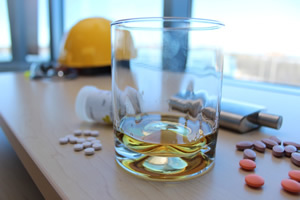 The CNSC is ahead of the curve, being the first federal regulator in Canada to have regulatory requirements, which are set out in REGDOC-2.2.4, Fitness for Duty, Volume II: Managing Alcohol and Drug Use, version 2, concerning pre-placement or random testing for alcohol and drug use for workers working in safety-critical positions. And there are few positions more safety-critical than those in Canada's high-security nuclear facilities. These requirements are meant to further strengthen the already effective fitness-for-duty programs in place at these facilities to ensure nuclear safety and security. As a leader in the field, the CNSC is sharing experience and knowledge on both the national and international stages. For example, the CNSC has been asked by the CSA Group to help them develop a national standard on workplace impairment. But REGDOC-2.2.4, Volume II was published last year, so why address it today? Well, because the buzz word of the day, no pun intended, is cannabis, otherwise known as marijuana, pot and weed. As of today, cannabis is legal for recreational use in Canada. CNSC staff have already given this issue extensive consideration. The requirements in REGDOC-2.2.4, Volume II are based on years of rigorous research, benchmarking and extensive consultation – and are not a reaction to the legalization of cannabis. We will continue to work with other federal partners to develop guidance for employers related to cannabis and will stay apprised of developments that may inform our approach to overseeing fitness for duty, such as the recently updated policy released by Canada's military. In sum, the fitness-for-duty requirements are essential to the CNSC's ongoing mandate to protect health, safety, security and the environment. The requirements balance the relative risks that could be posed by workers with the measures required to ensure workers are able to competently and safely perform the duties of their position. We live in a time when change is happening a mile a minute. The CNSC stands ready.